Buffalo auto injury attorney William Mattar has been focused on helping people for many years, but this month they would like to help spread the word about a group of volunteers who work tirelessly to help the homeless. 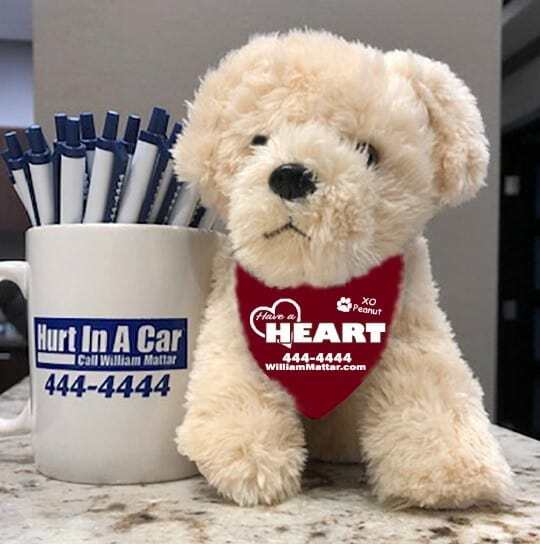 During the month of February, the William Mattar Have a Heart campaign encourages everyone to ‘have a heart’ and support St. Luke’s Code Blue homeless shelter. When you support the shelter, you can then go to williammattar.com and request a limited edition Peanut Butter plush toy. As you may know, Peanut Butter Mattar is the sweet and spunky cockapoo member of the family who helps William Mattar on the annual Rescue a Shelter Animal campaigns in Western and Central New York. An 8” replica plush of the beloved canine is a thank you gift to those who respond to the call for action to help support St. Luke’s Code Blue shelter.